The Most Powerful But Also The Easiest To Use From Your Desktop Or Mobile Devices! That's right, as powerful and integrated as Sliding Social is, we took a hard look at every single Social Media Marketing Service out there. We looked at Owls, we looked at Falcons, we even tried Yodeling, we looked at Sprouts, Buffers, Essentials, we even looked at all kinds of Hubs, and a bunch of other geeky stuff and we were frustrated by how difficult and cumbersome they all were to use. And hey, we're programmer geeks, so it's it's confusing to us, we can only imagine how frustrating it is for you. We took that as a call to action to make the most user-friendly interface and mobile app versions of our system possible. It may not save you money on your auto insurance, but it is so easy, a caveman could use it. Schedule a demo before you buy and see for yourself. We like doing demos because we like compliments and we get them often in our demos when we show off all of our hard work making such a powerful yet easy to use system. 'My Links' easily let's you create unlimited custom web pages by simply uploading a file from your desktop or mobile device. 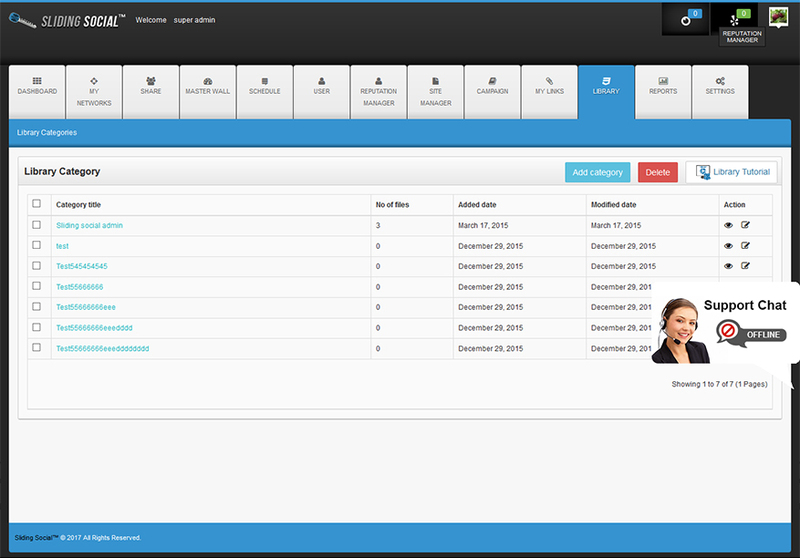 You can also create custom pages with our custom web page creator. 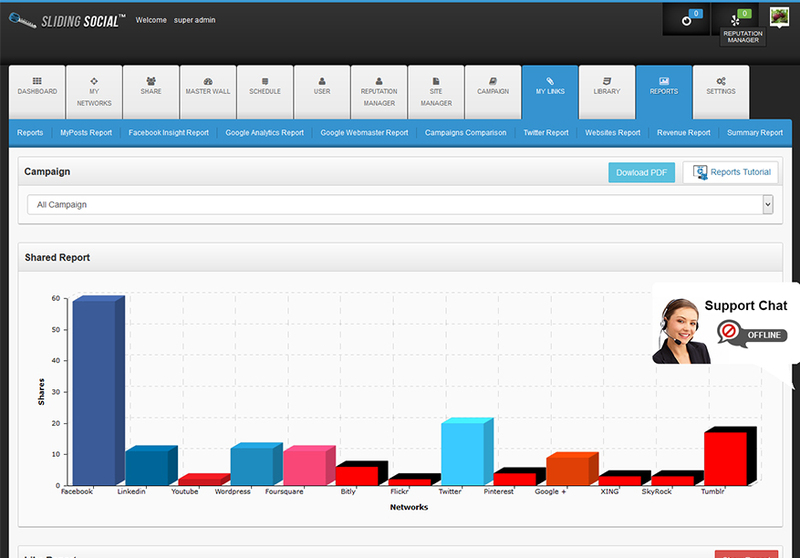 It's all integrated throughout your dashboard for easy 1-click access and sharing your content. You will feel like a pro web master with how easy you will be able to create stunning web and landing pages. Just another one of our unprecedented features that may just drop your jaw when you see it work. 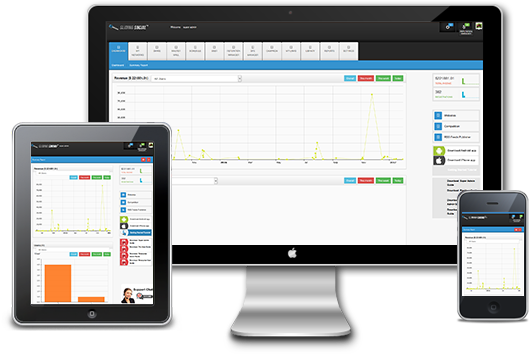 The most comprehensive reporting system for social media marketing and it's all-included FREE - as it should be. Heck, it's your data, why should we charge you to see it? Not only track & report on your social media, but track the user from your links throughout your linked website! With Sliding Social™ you can track your marketing in real time and see conversions and impressions for all your marketing. Comparison and side by side reporting on marketing campaigns lets you know what is working and what is not. We also are proud to be a Google™ Partner so Google Analytics, Google Webmaster, Google+, and AdWords are also integrated. No more 'Guessing' what your social media marketing is doing - you'll KNOW. And did we mention all reporting is included free? Yeah, most all social media marketing systems have a some type of scheduler, but ours connects to 23+ networks and your own personal library and intranet! The scheduler is simple and easy to use and gives you the option of a simple 'activate/deactivate' toggle so you can stop your campaigns and restart them any time without having to do them all over again. 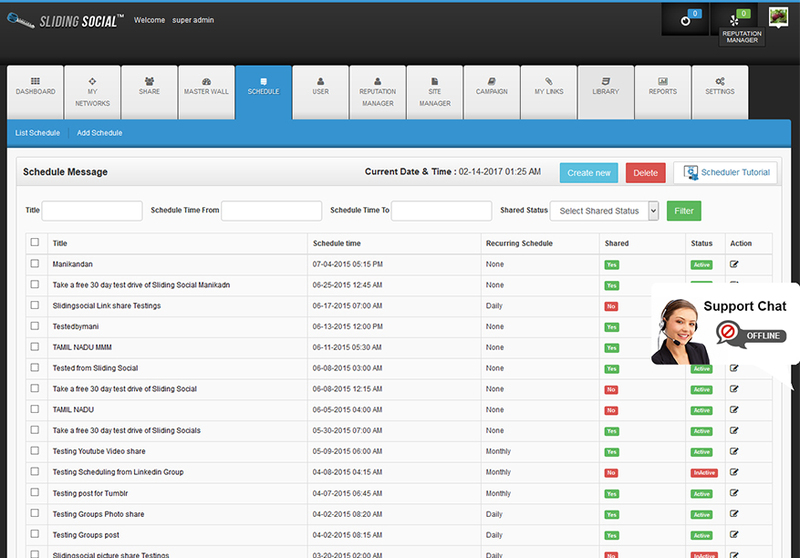 Ours also links to any campaigns you create to help in side by side reporting of how your schedules are working. Insights like that are important for your business to find the right 'spot' for your marketing efforts. You can one-click output pdf's of your schedules and reports too. Oh yeah, did we mention all of Sliding Social's reporting features are included & free? Your own personal, unlimited Cloud Storage Library, safe and secure, in the same 256 Encryption we use for banking customers, to quickly manage and pull of your content from. You can upload and manage almost unlimited file types from photos & Videos, to spreadsheets & documents. You can quickly reference your library for fast sharing to your connected social networks! Enterprise account libraries also serve as a complete intranet system, and allows companies and organizations to act as 'librarians' over all content accessible by the company license users to ensure compliance and control over all content across social media marketing initiatives, even at he local level by their licensees. Did we mention we give you free unlimited Cloud storage? If you are a company that deals with the public, then you need to, not only be on all the major business directories, but you need to be on the CORRECTLY. Fact is, you are probably on most all of them automatically compliments of the likes of Google and Bing, but more than likely you are not on them with consistent, or even accurate information. And just as likely you are not optimized them as at all. Without paying a fortune to the likes of yellow pages, yelp, and others promising you 'higher ranking' for ridiculous fees, the Sliding Social marketing team can set you up RIGHT - consistently and effectively on all the 72 major players. If you don’t know why this is important, then schedule a demo and we’d love to show you. Not only more networks than anyone else by a mile, unique features only found in Sliding Social like our RSS Feed Manager, unlimited web page creation, cloud based library intranet, and more! Sliding Social™ offers revolutionary ENTERPRISE options and it only takes a demo and you'll be wondering why your company hasn't been using it already. Conveniently offering enterprise packages with as little as 5 license minimums, it allows even the small business owner the accessibility to the same powerhouse technology afforded to those on the Forbes Fortune 200 list. Not a single enterprise system option is an 'out-of-the-box' product. 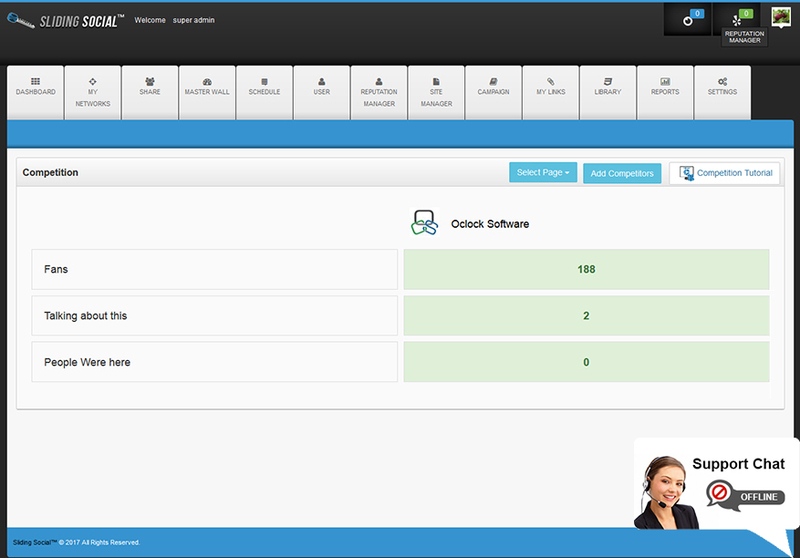 Each system is customized to the individual client down to the permissions, hierarchies, management, and even reporting functionality. We even have a White Label Program too that we're happy to talk to you about if you qualify. It's literally as close to constructing your own SaaS as you can get. 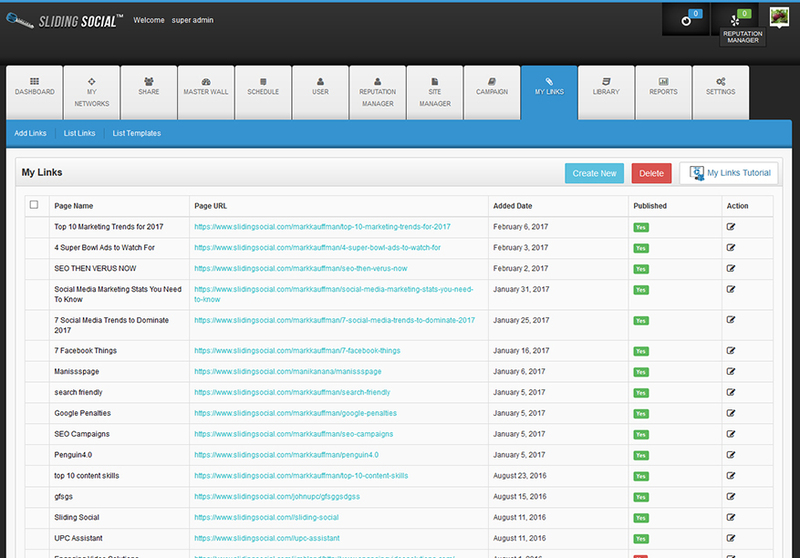 Our Custom RSS Feed Manager is another on of those jaw on the floor moments when you see it. It's power is undeniable and you can manipulate any of the millions and millions of RSS feeds on the Internet into your own social media accounts and control the frequency and time of the content within them. Let that sink in for a minute - you can literally have top quality content streaming into all of your social media accounts as much as you want in between the times you send out your own targeted content. This can be used literally to do the work of a 20-man professional marketing team in seconds. See, post, monitor, & respond to everything from a single MASTER WALL from your desktop or our free mobile device apps - very convenient to monitor and interact with your social media from a single wall news feed that makes jumping from one to another as easy as a click of a button. 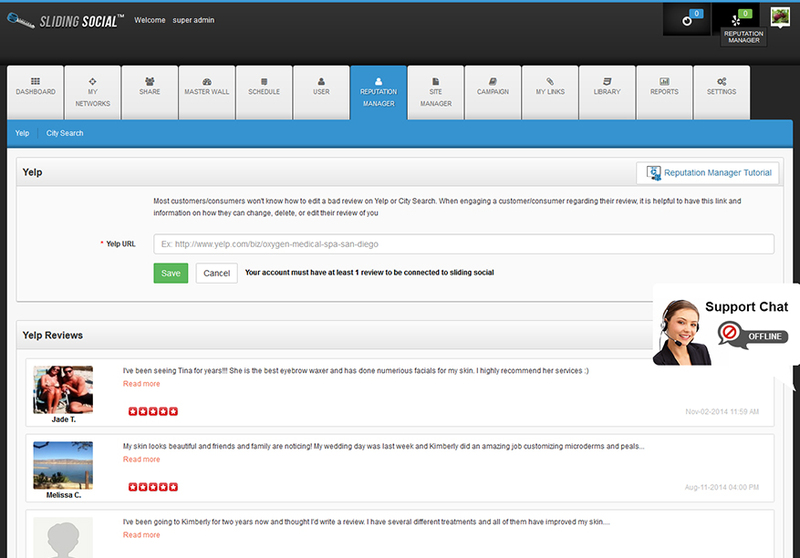 Our Reputation Manger allows you to monitor and address reviews in real time from Yelp and CitySearch. You can even set alerts to notify you the moment you have reputation to manage. We would actually be surprised if you already had a branded presence on all 23+ Social Networks Sliding Social shares to. Whether you need help setting up one, some, or all of them, our professional marketing team is here to help. We can create, optimize, and brand any number of social media sites for you for single one-time fee with no hidden charges or monthly billing. Schedule a demo to learn more and see some examples of our stunning Social Media accounts and pages creation, branding and optimization. Track how how your social media is stacking up against your competitors in real time daily analytics. 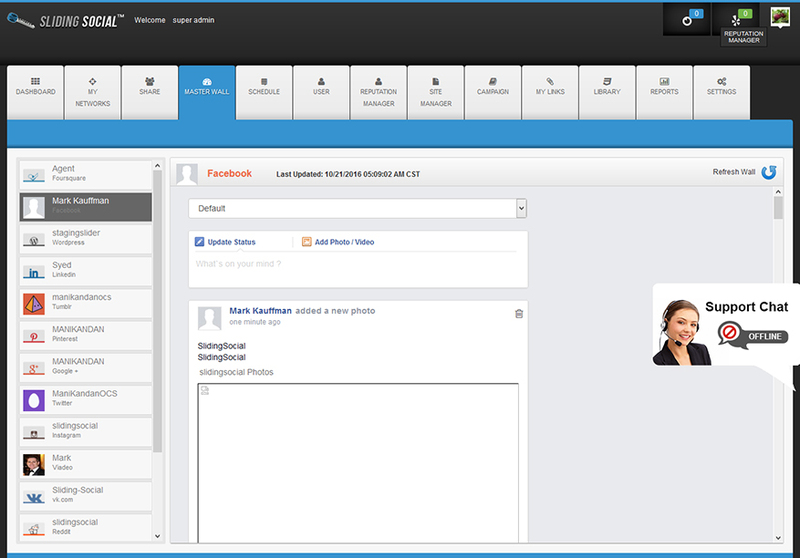 You can track up to any 3 competitors at a time for all of your social profiles linked in your Sliding Social system.